Green room Toddlers: for 2.5 – 3 years old. 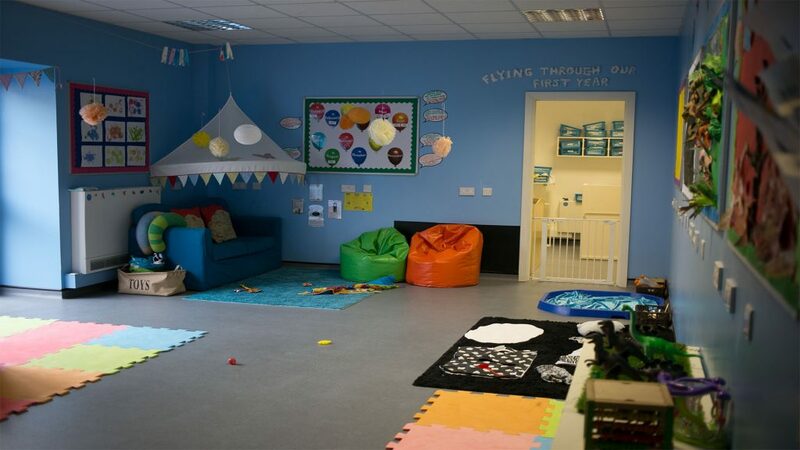 Preschool room: for 3 – 5 years old. All of our ages are a guide and where possible we move children when they are ready. We offer full and part time places in all rooms. Our minimum bookings are 2 days in our under 2 rooms and the equivalent of 5 half days in our over 2 rooms. 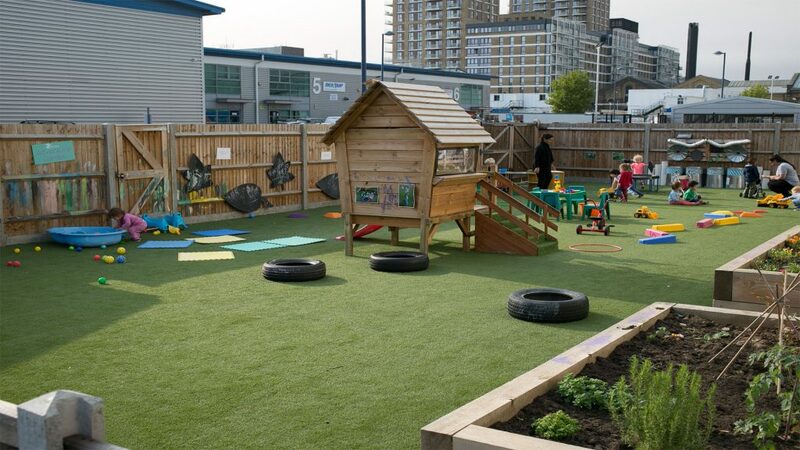 Adventure Garden – physical space for sports, climbing frames, large planters for growing, and large music wall. Imagination Garden – Theatre stage, puppet theatre and story shed with books and benches. Sensory Garden – sand, water wall, music wall and mirrors – this is the dedicated baby garden. Forest Garden –full forest garden. We have fully trained and accredited Forest garden leaders on our staff who take the children into the space weekly.